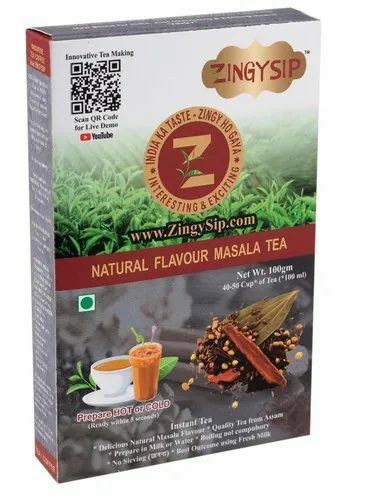 Leading Manufacturer of zingysip instant natural masala tea, natural flavour masala tea / 100gm and natural flavour cardamom tea / 100gm from New Delhi. 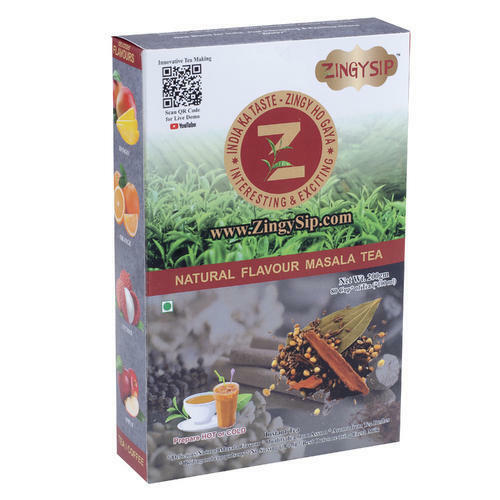 Fresh Masala made Inhouse to create flavour and taste as Rich , Fresh and Home made Masala Tea .Fragrance , Taste , Aroma create a sense of Freshly made Home Masala Tea . 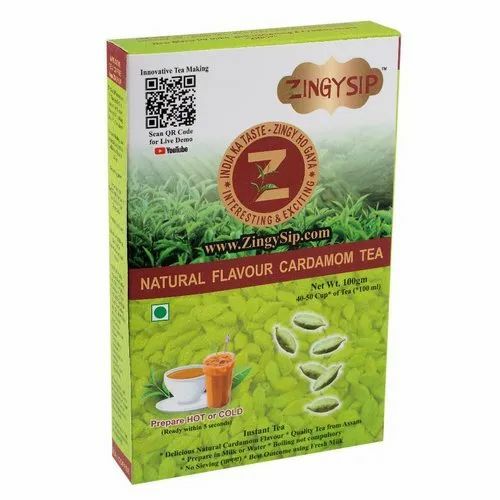 Just add your Favourite Cardamom Tea to Hot / Cold --- Milk / Water and Sugar as per taste and your ZINGYSIP Tea is ready to SIP Instantly . We have Innovated and developed Natural Exciting and interesting Flavours . We bring Quality Tea from Assam , Aroma from Tea Bushes blended with Fresh Cardamom .